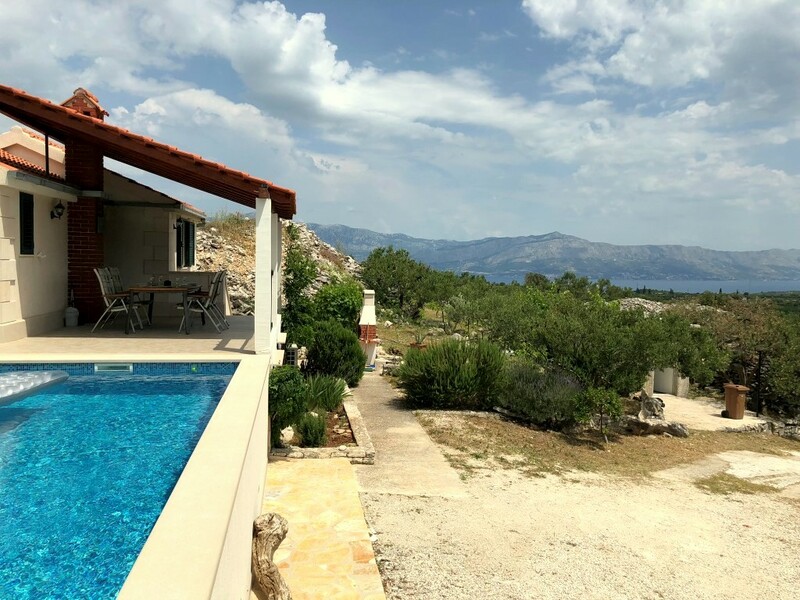 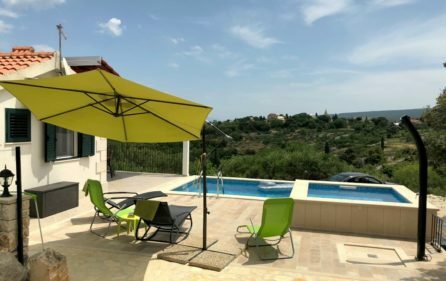 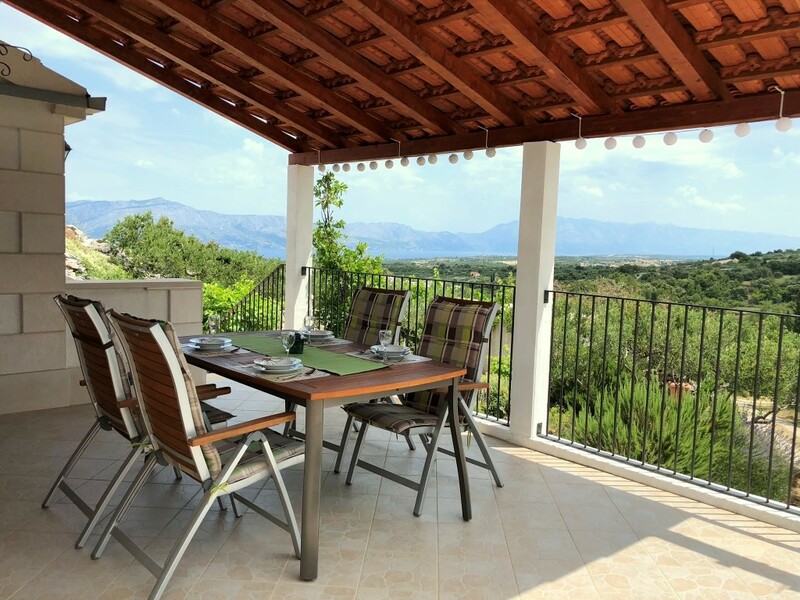 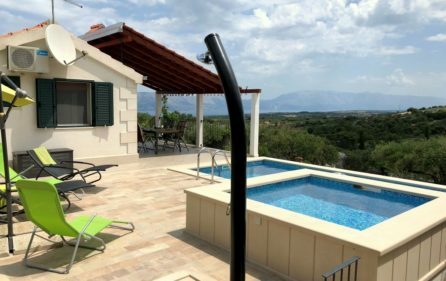 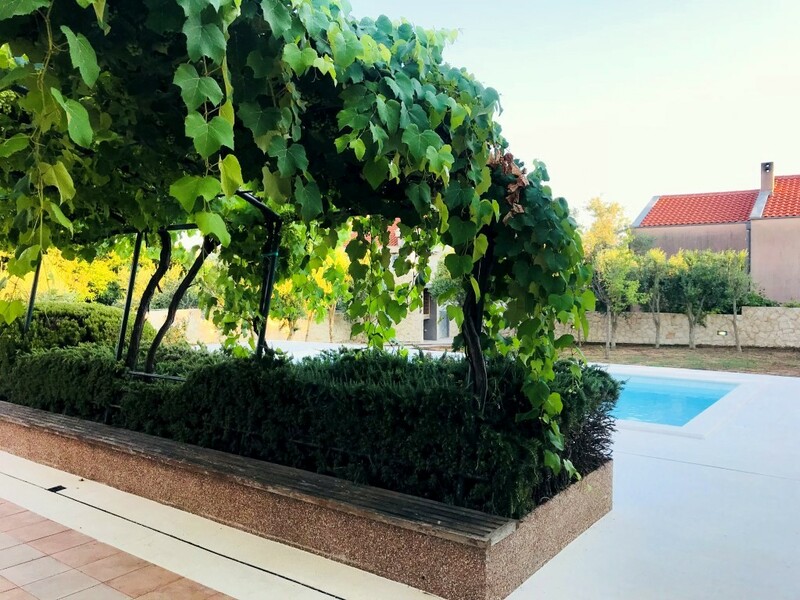 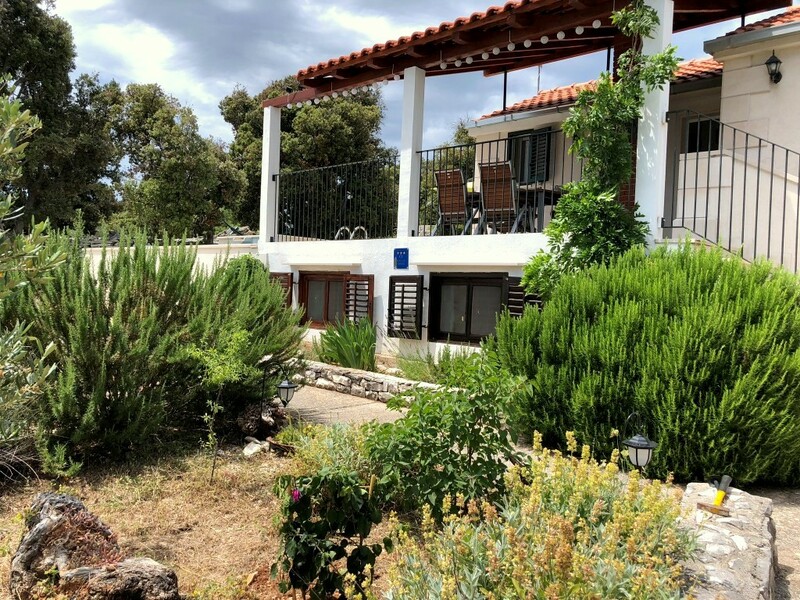 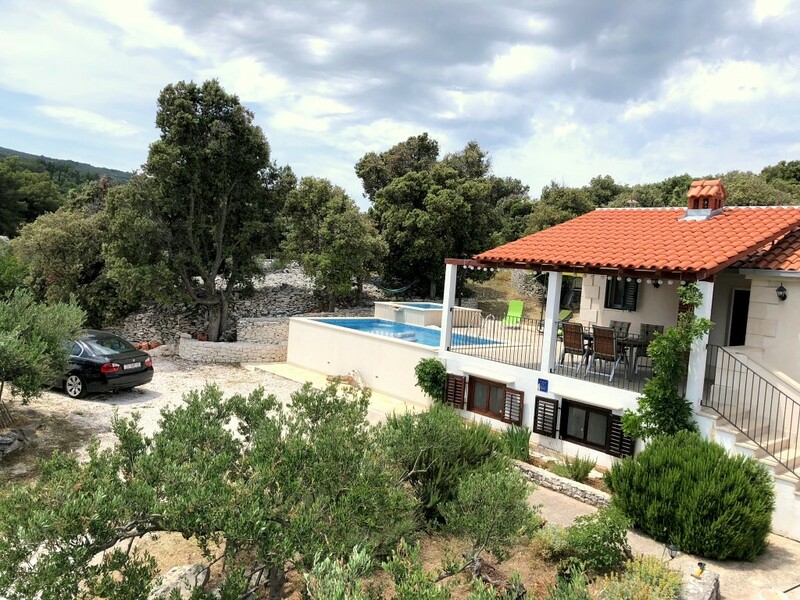 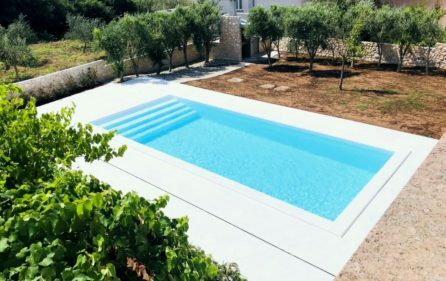 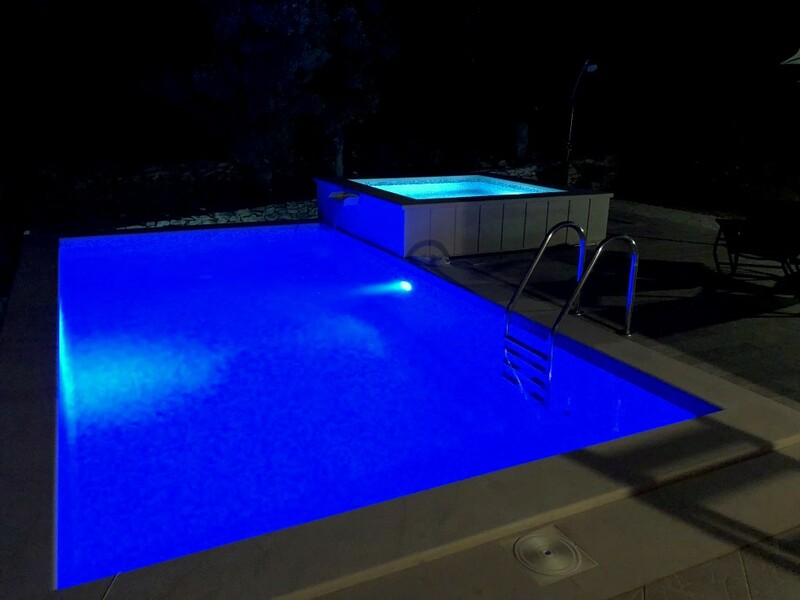 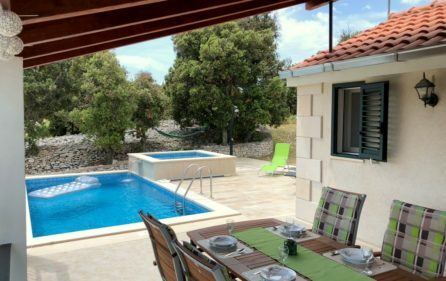 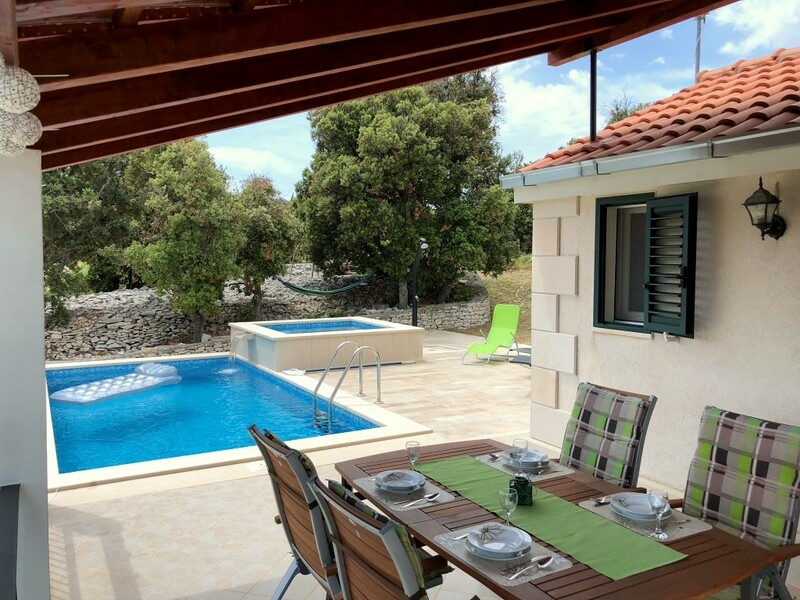 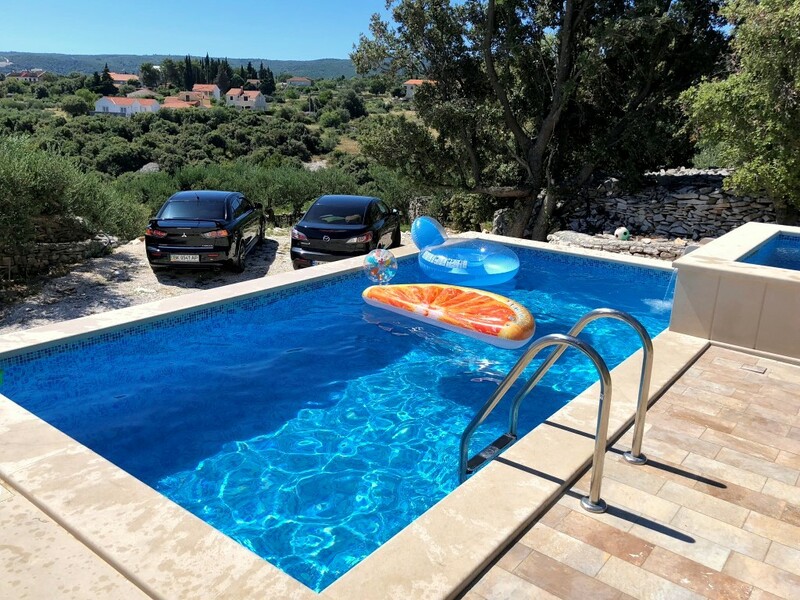 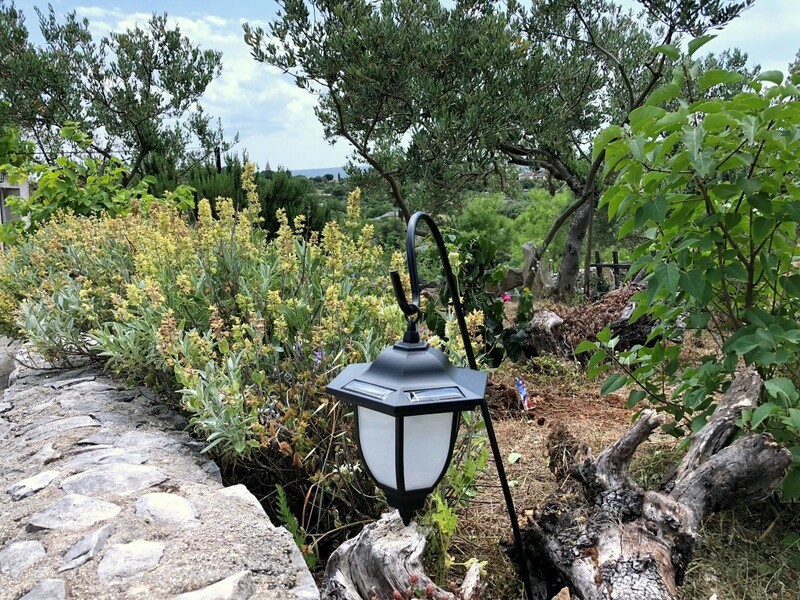 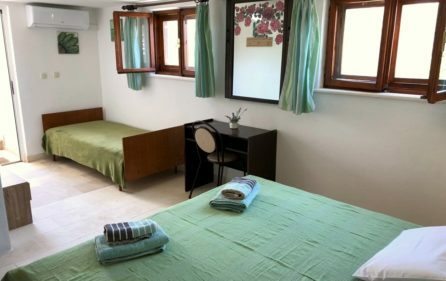 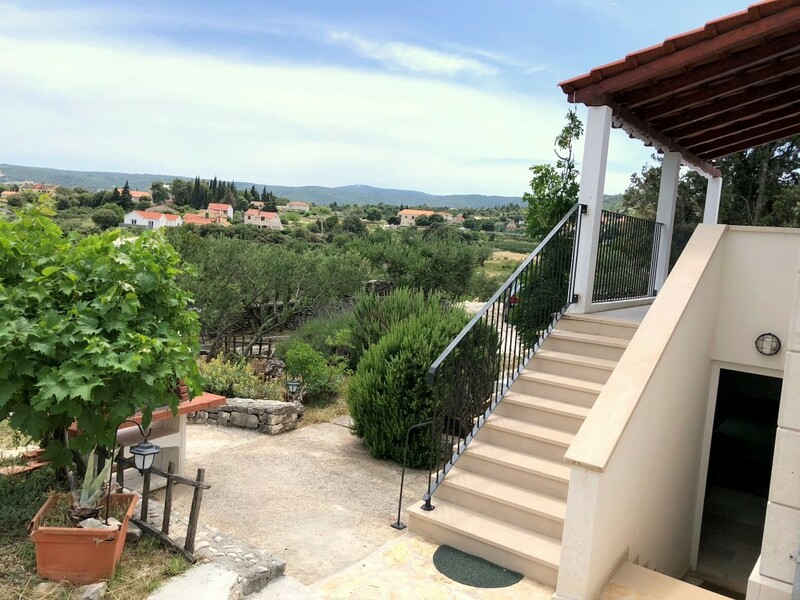 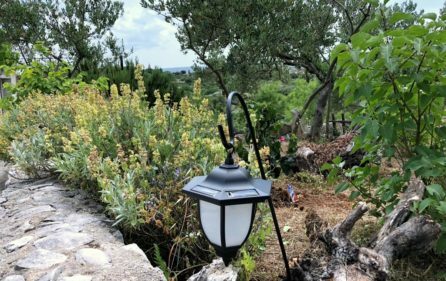 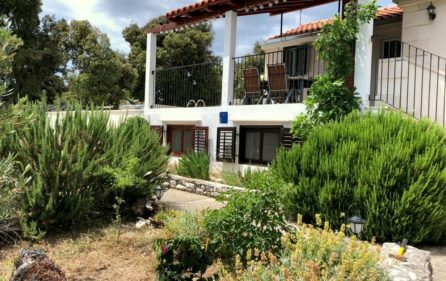 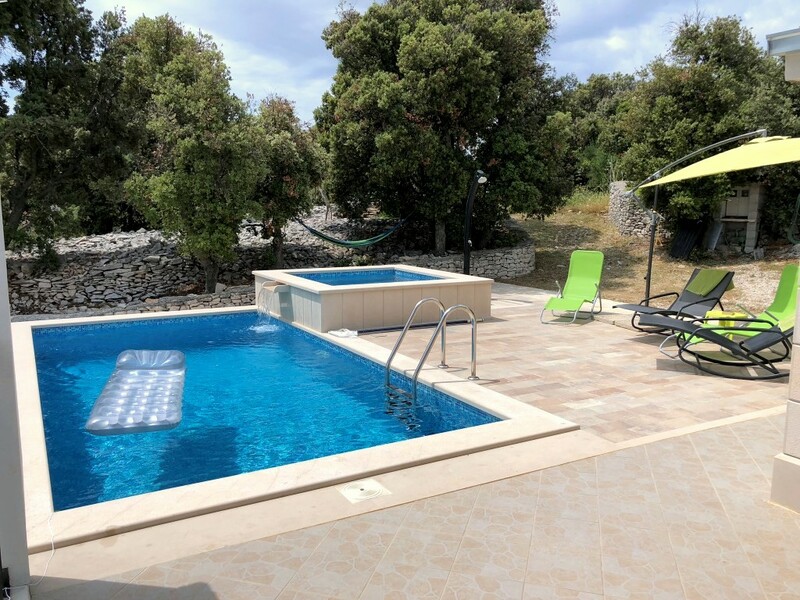 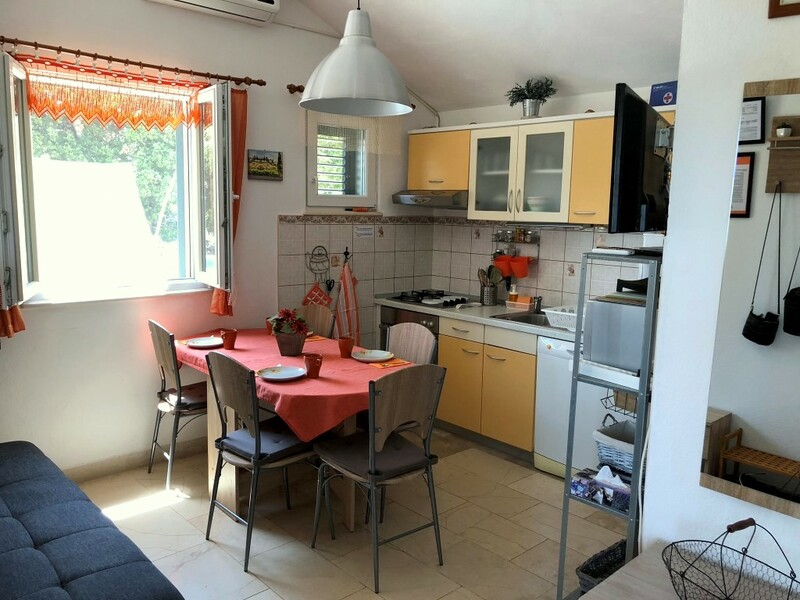 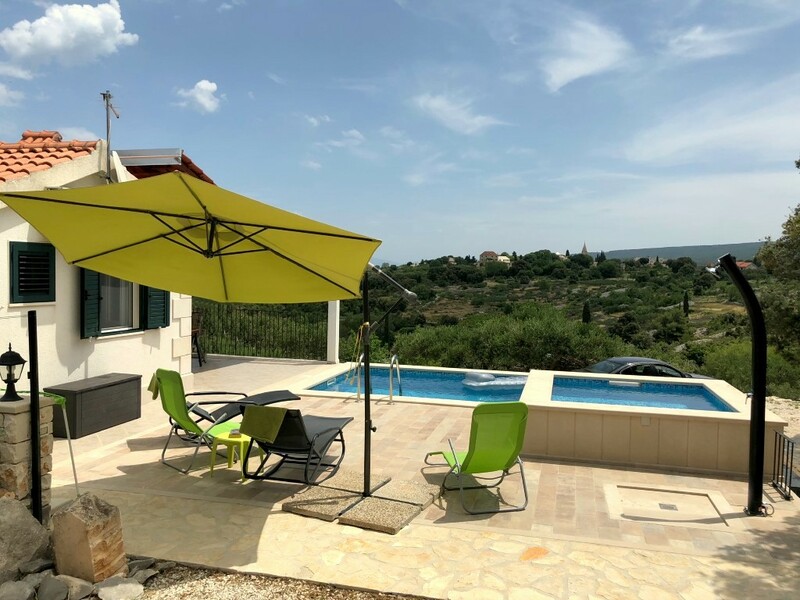 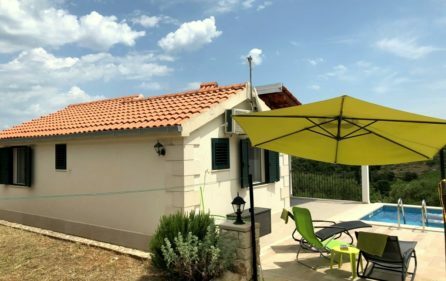 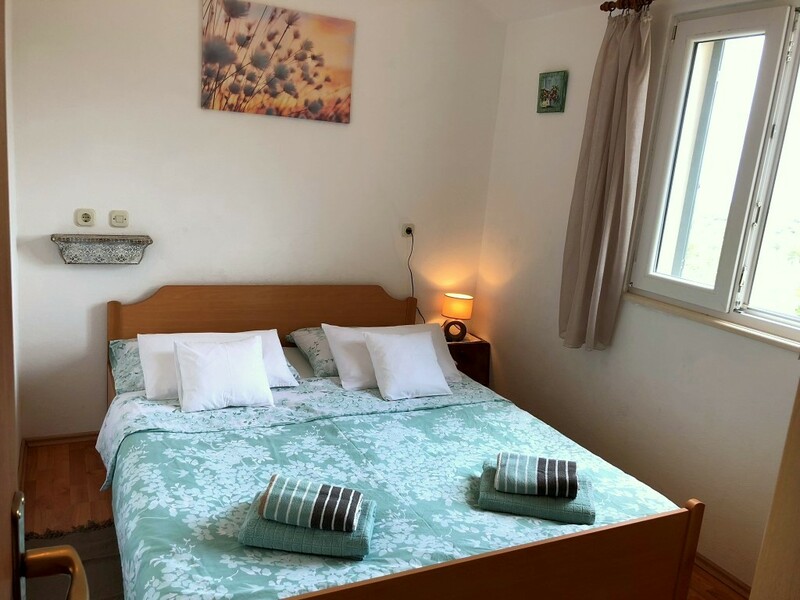 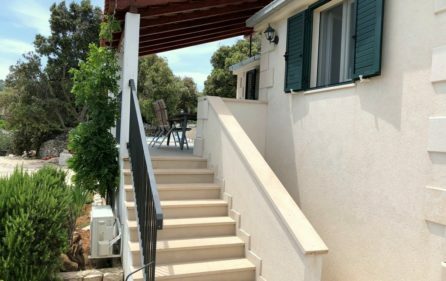 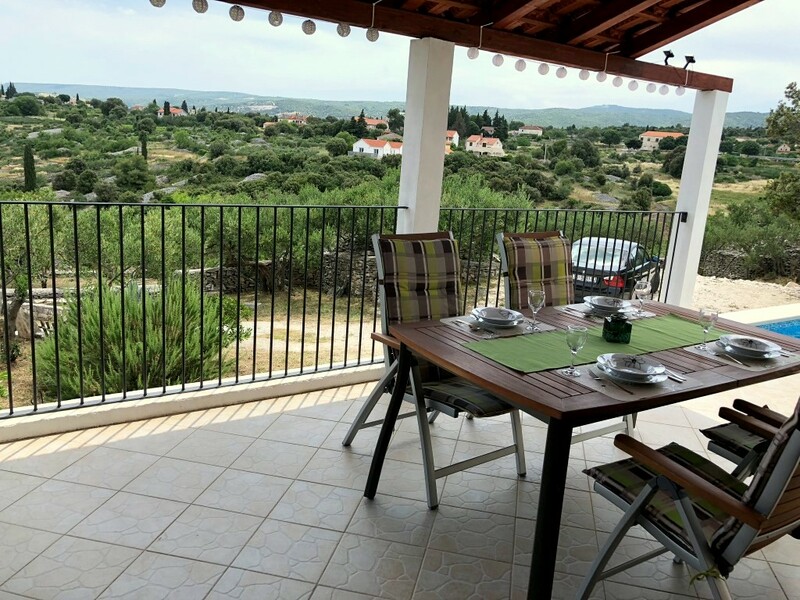 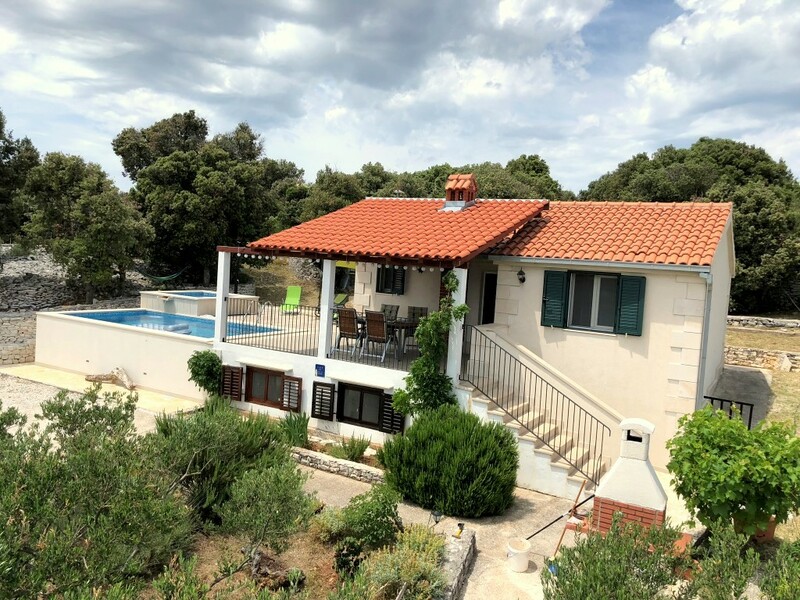 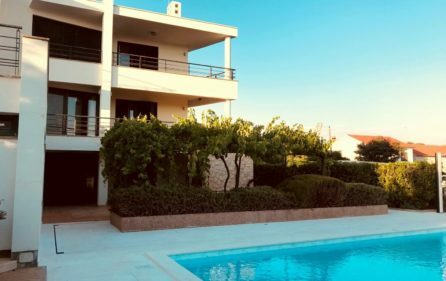 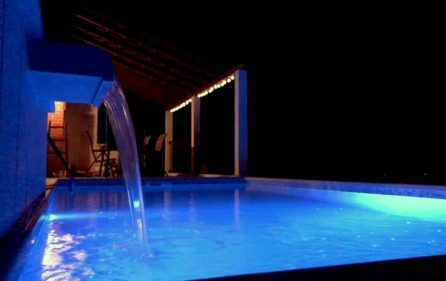 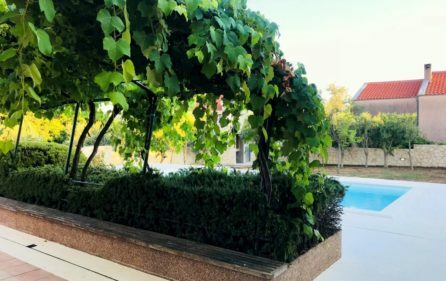 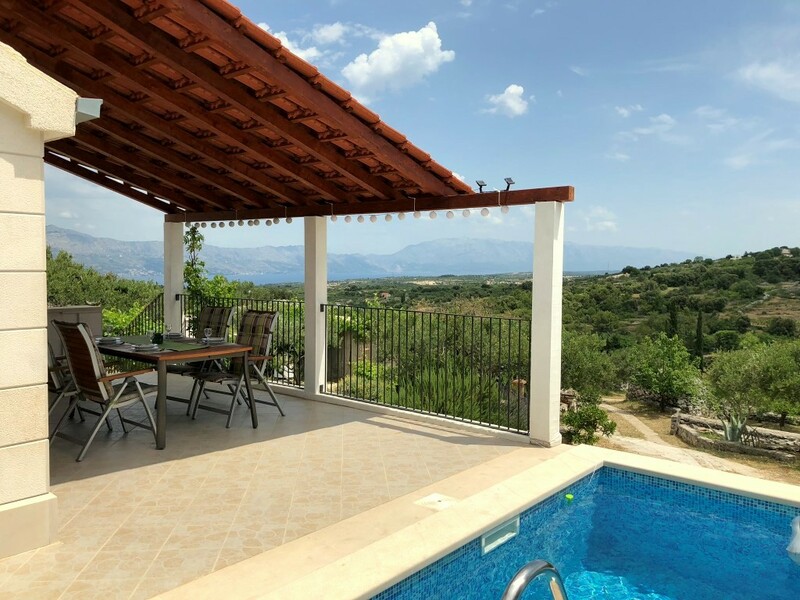 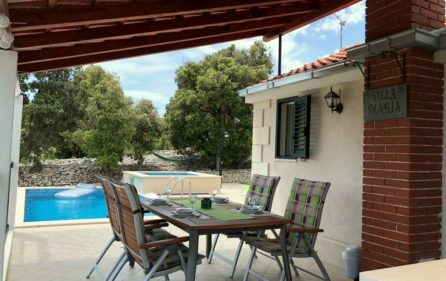 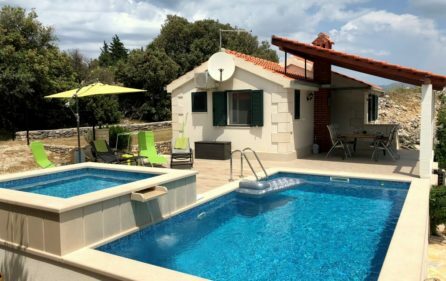 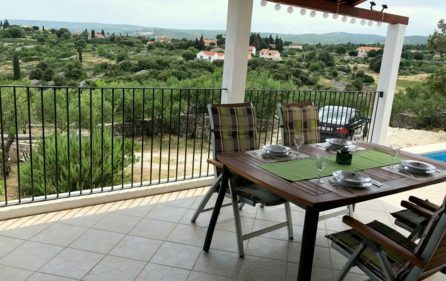 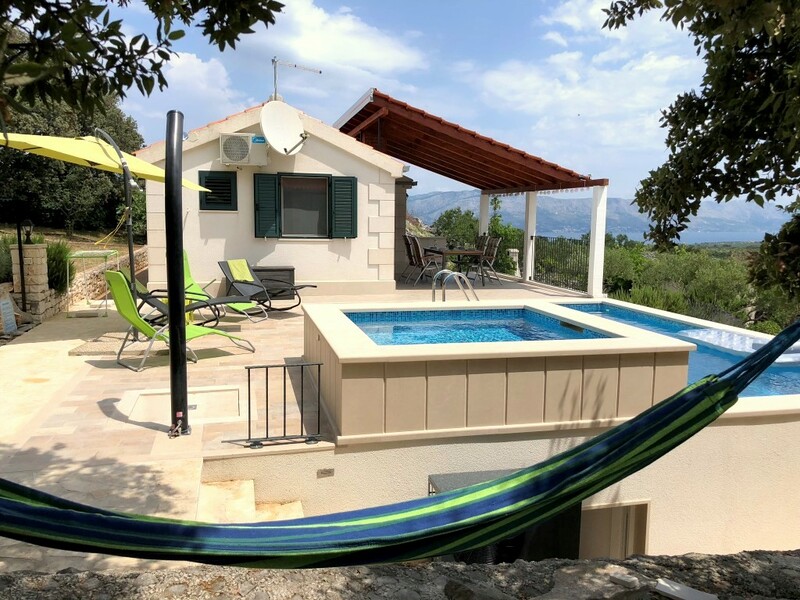 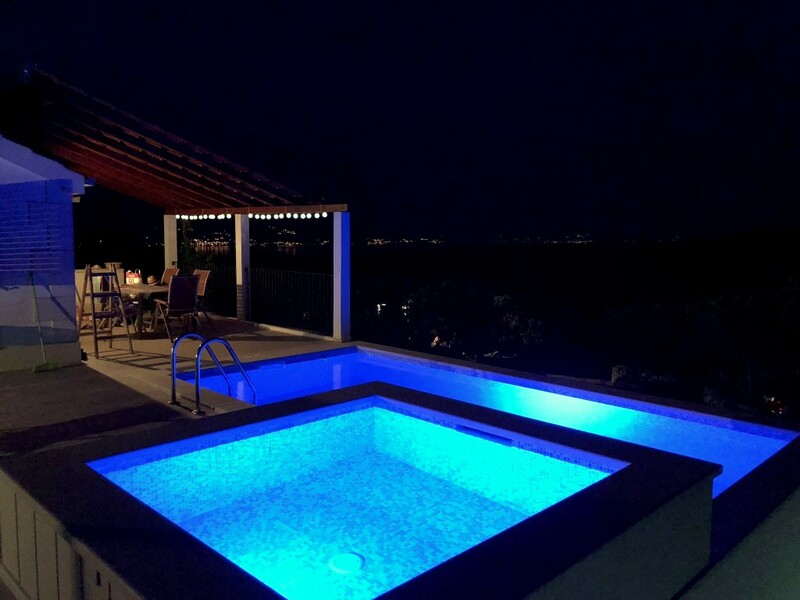 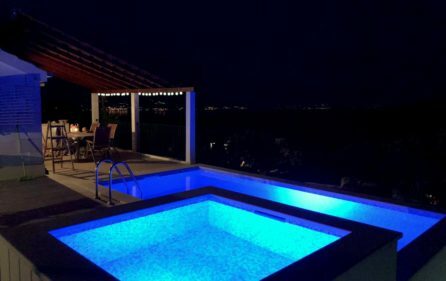 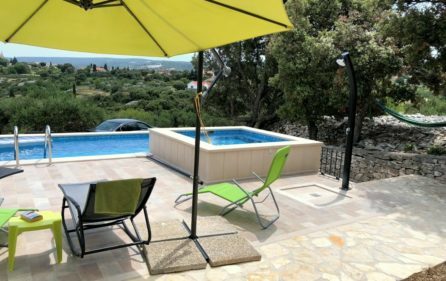 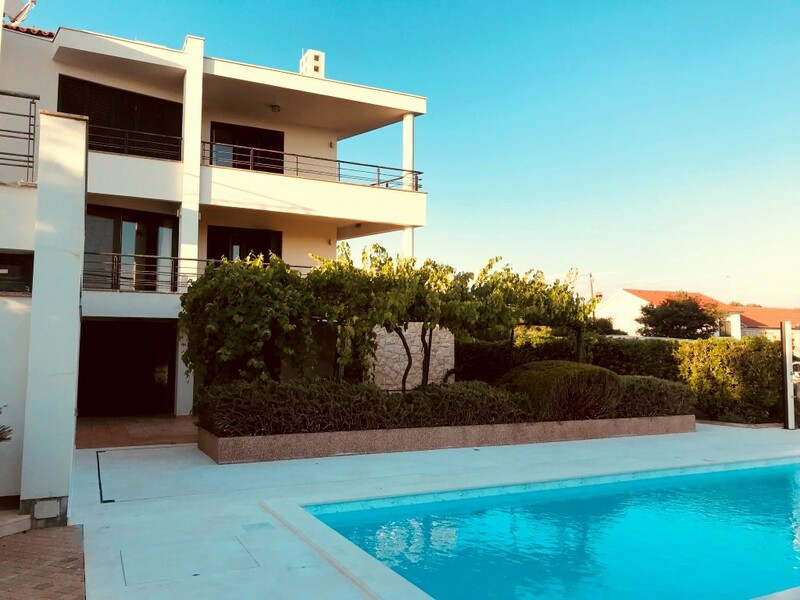 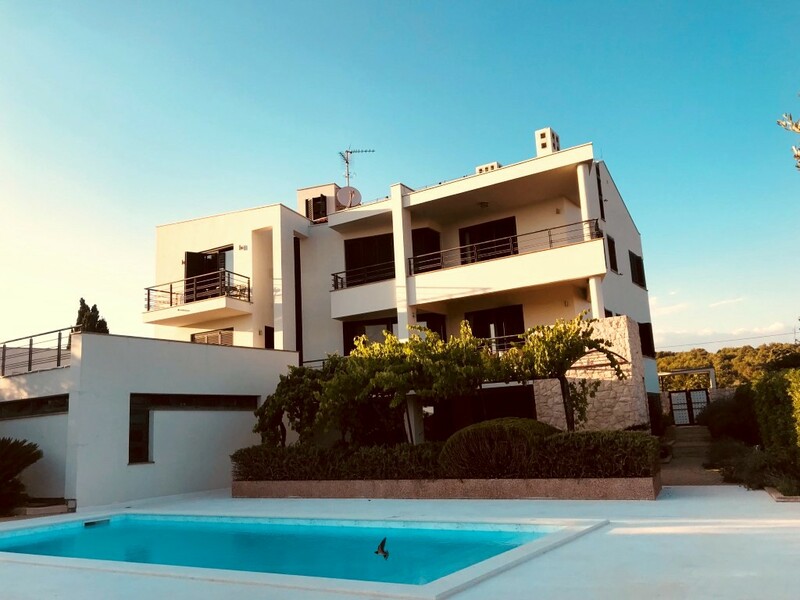 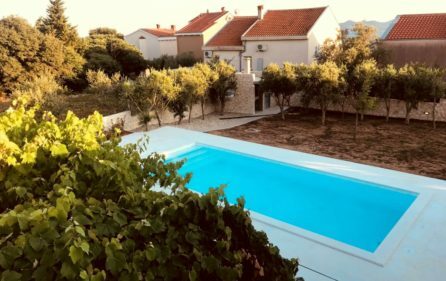 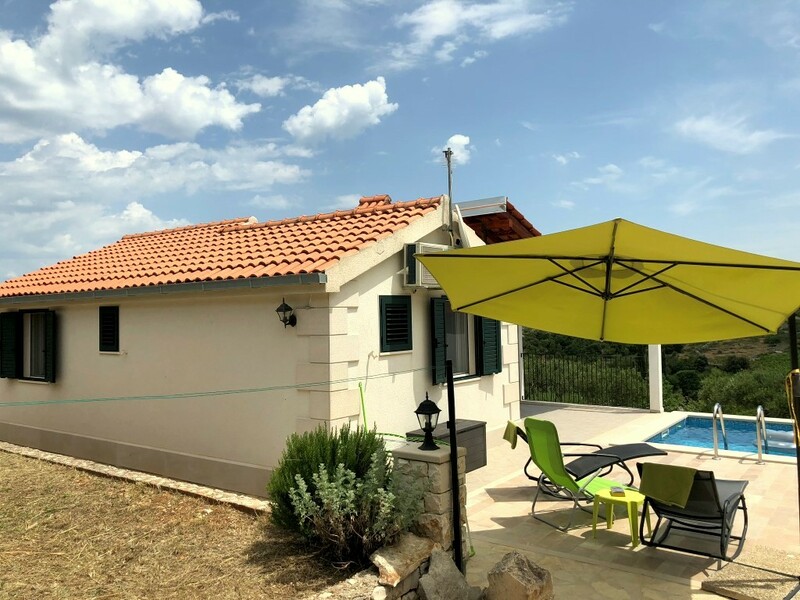 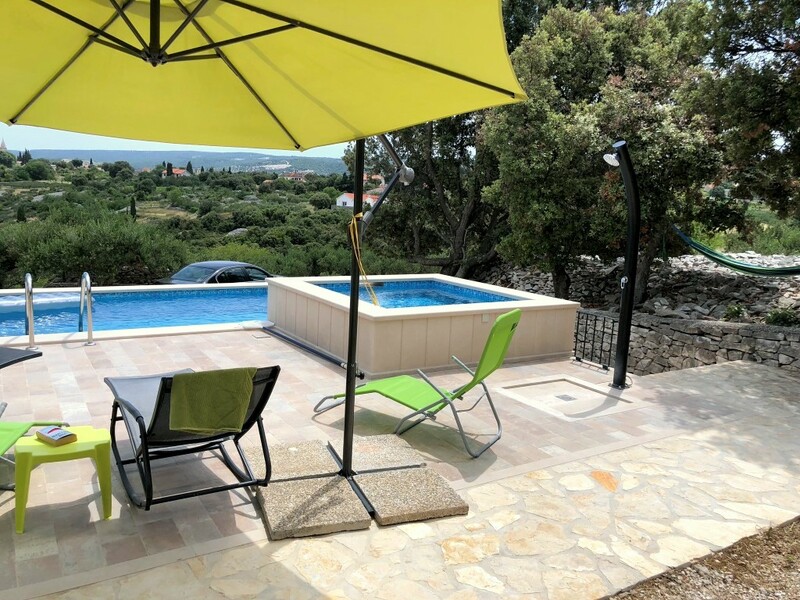 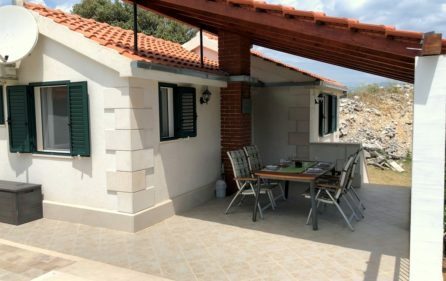 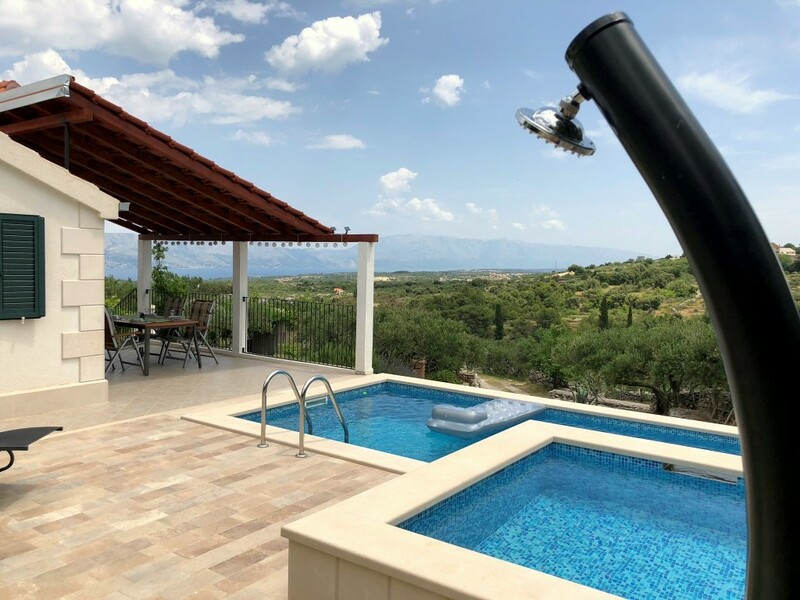 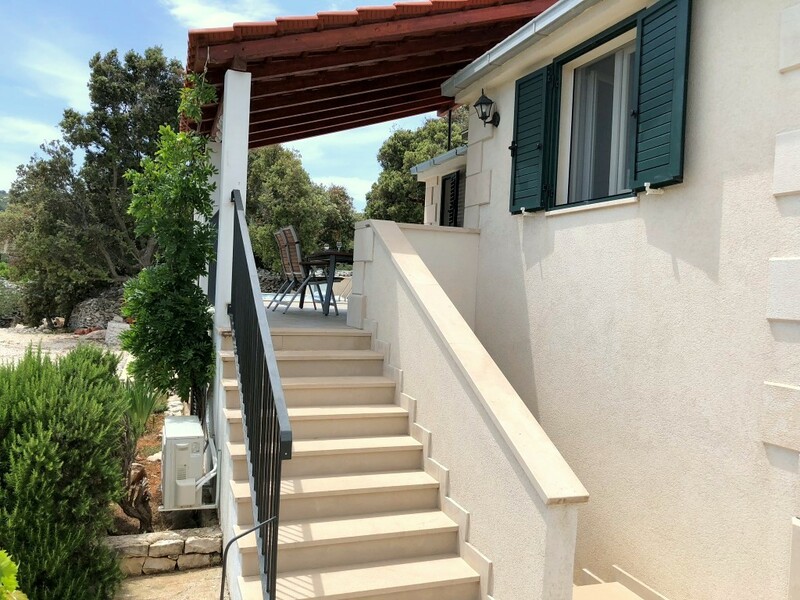 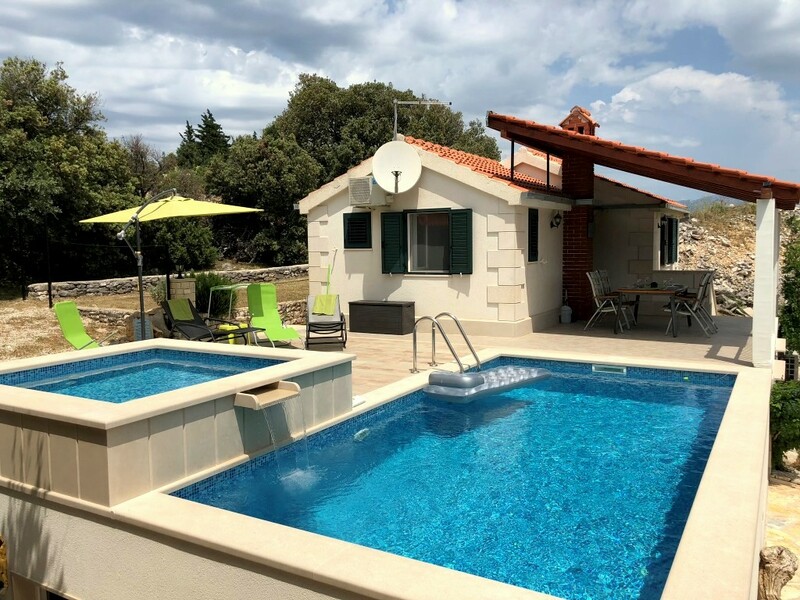 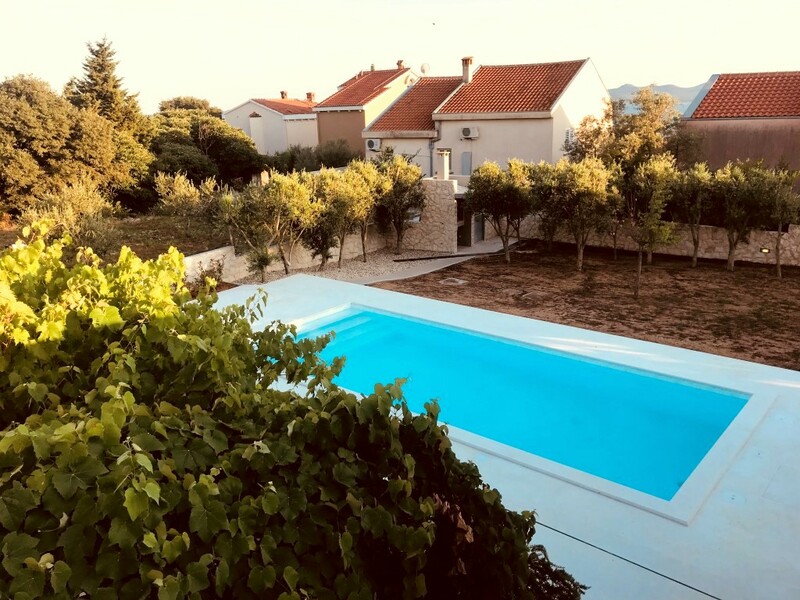 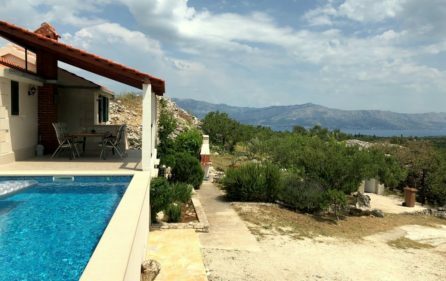 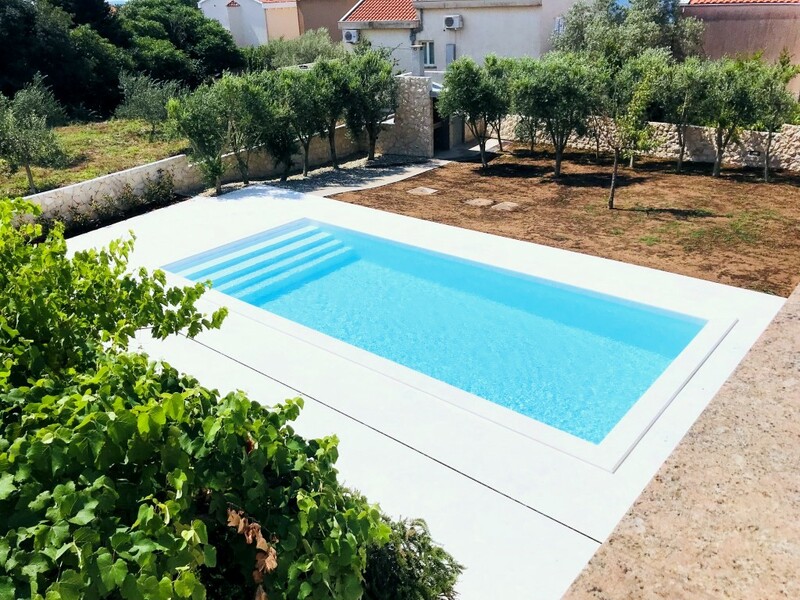 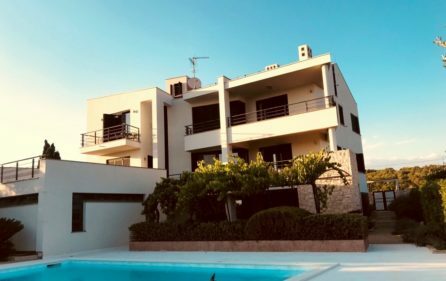 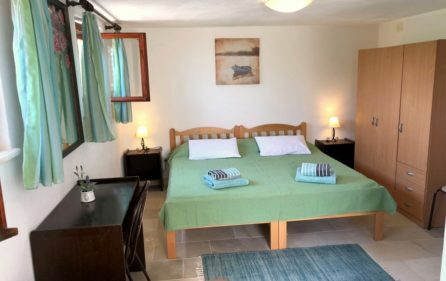 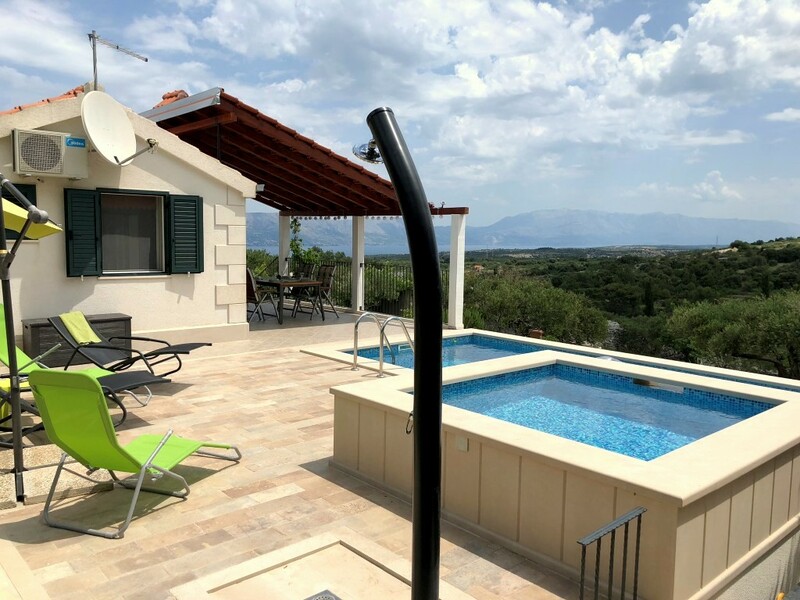 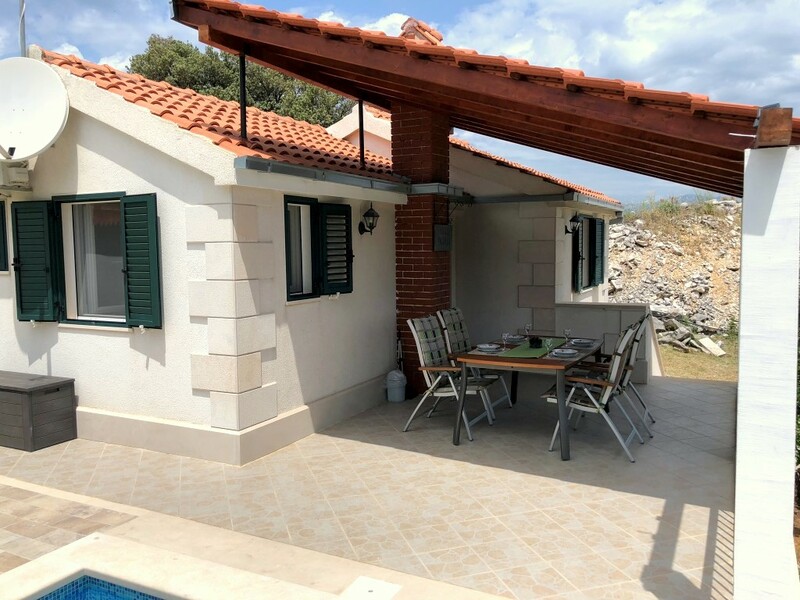 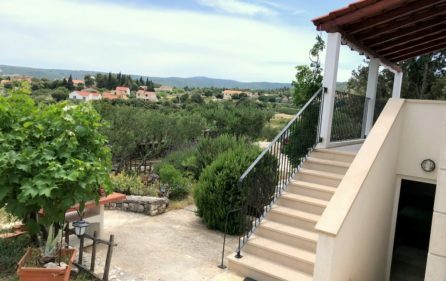 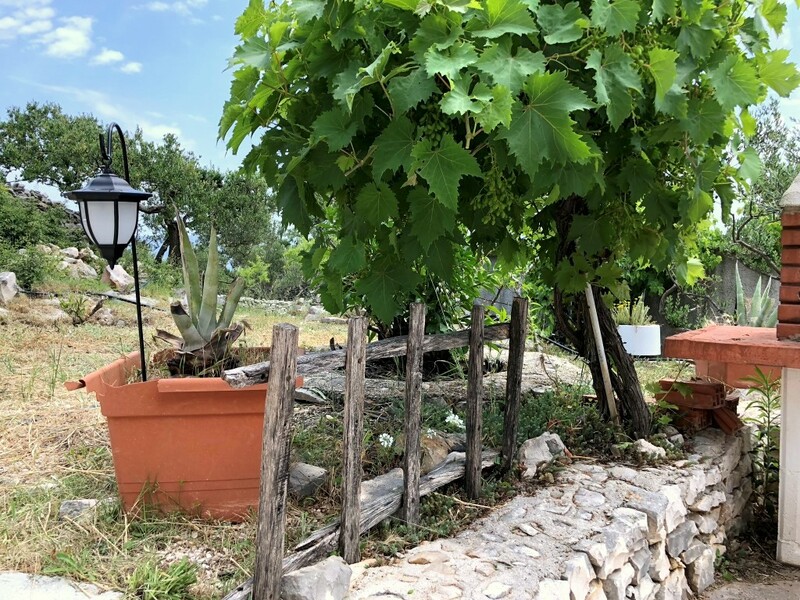 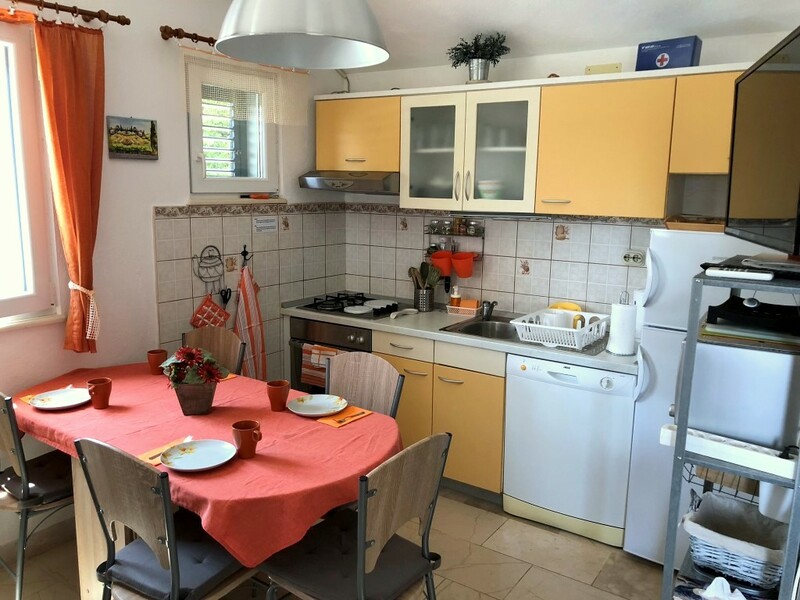 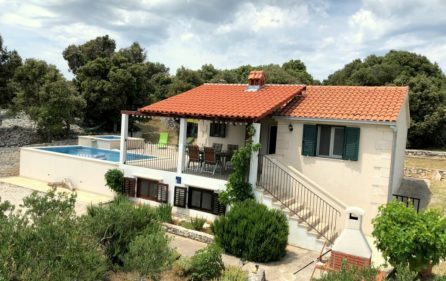 Beautiful villa in Brac with two pools -The house is located on the Island of Brac in the Middle Dalmatia region, surrounded by the amazing Adriatic sea. 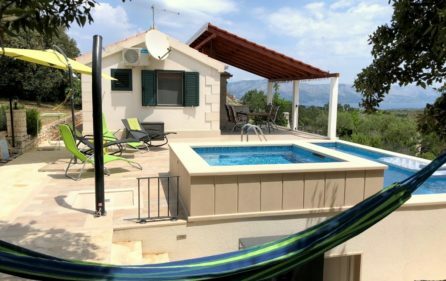 You can arrive at the nearest airport in Split, 32 km away, an then proceed to the regular ferry lines to Brac. 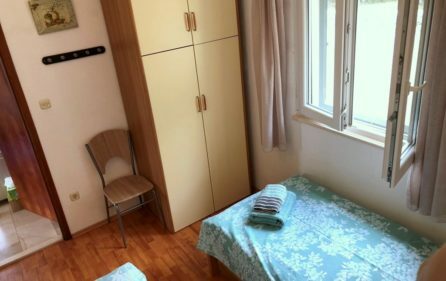 The bus station is just a few hundred meters from the house. 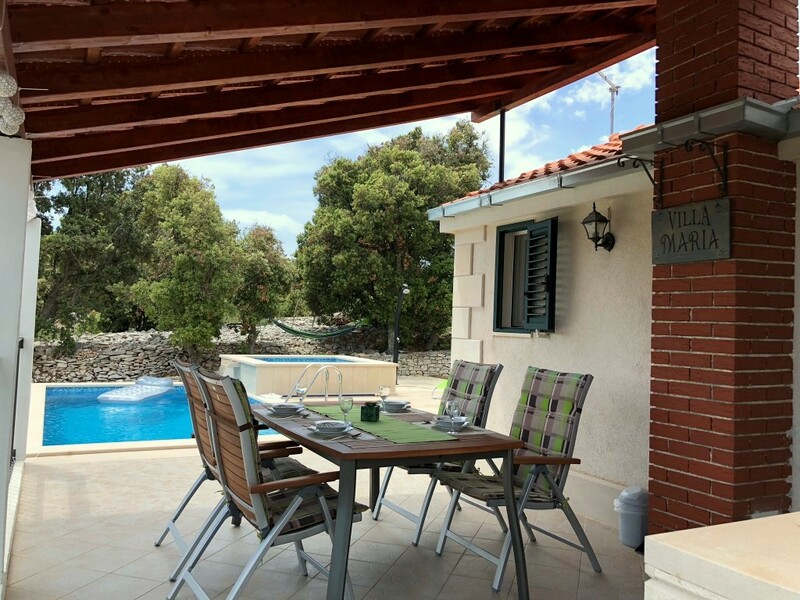 This beautiful villa is situated at the entrance to Skrip, near the Olive Oil Museum Brac. 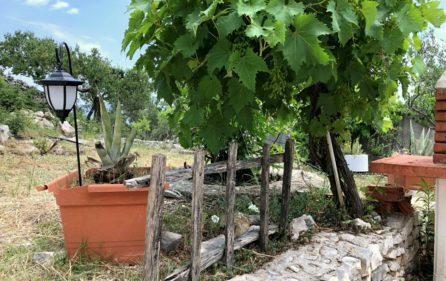 You can find some olive oil and organic fruit trees in the garden of the house as well. 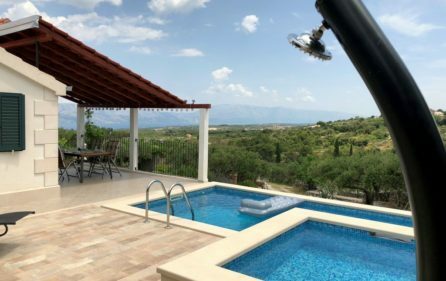 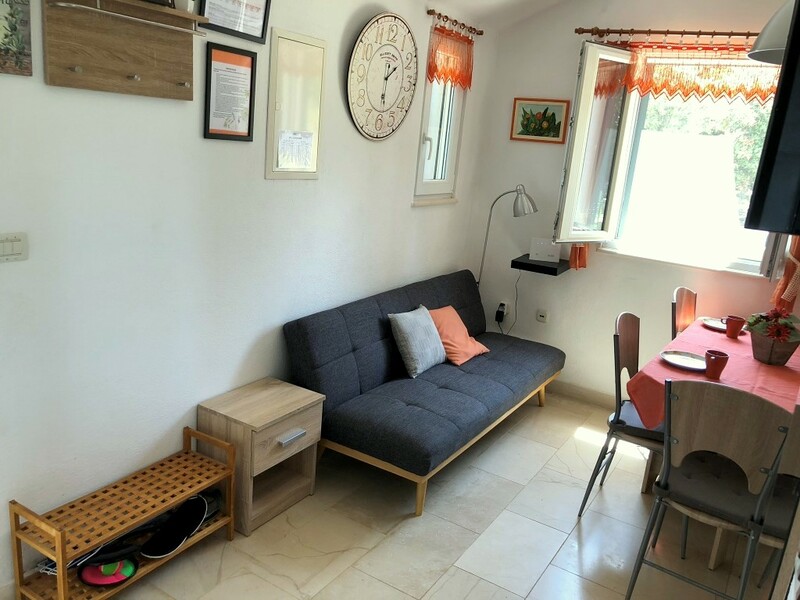 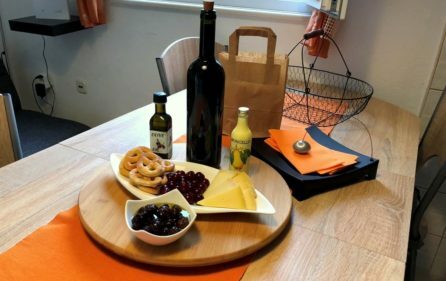 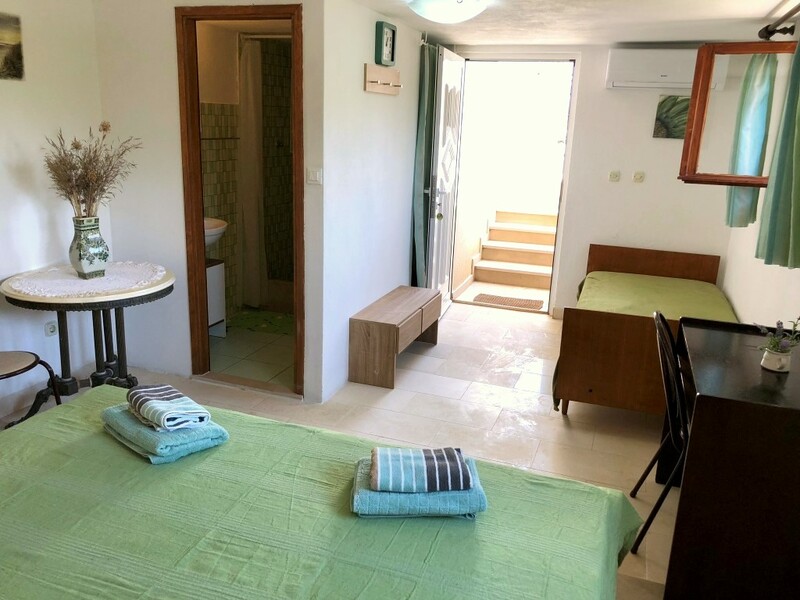 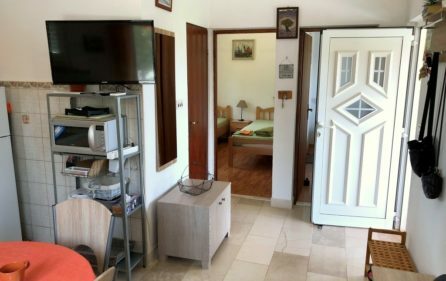 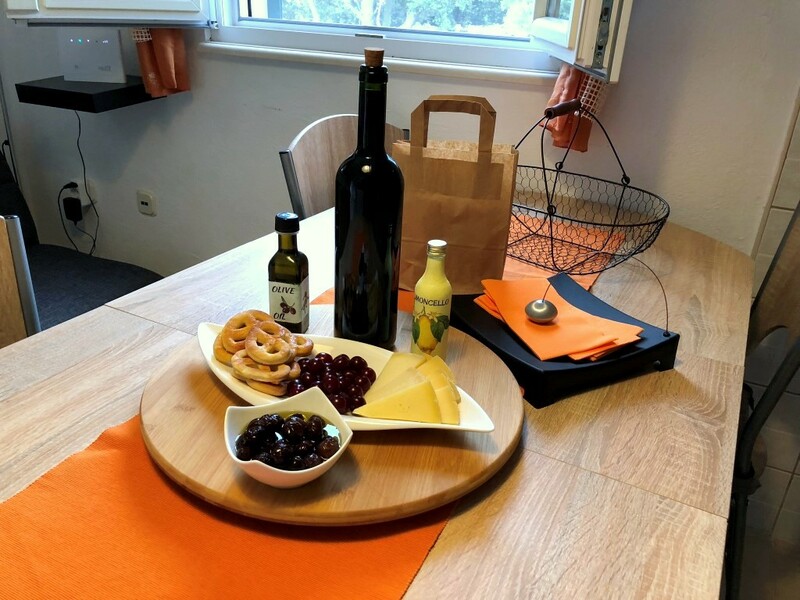 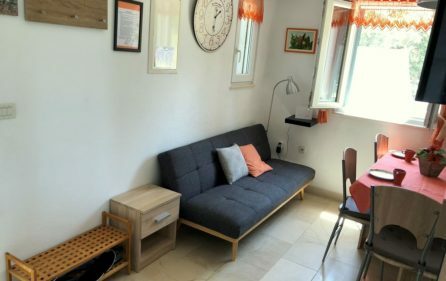 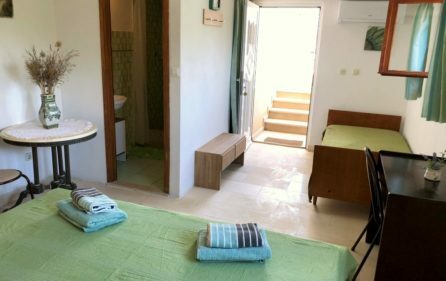 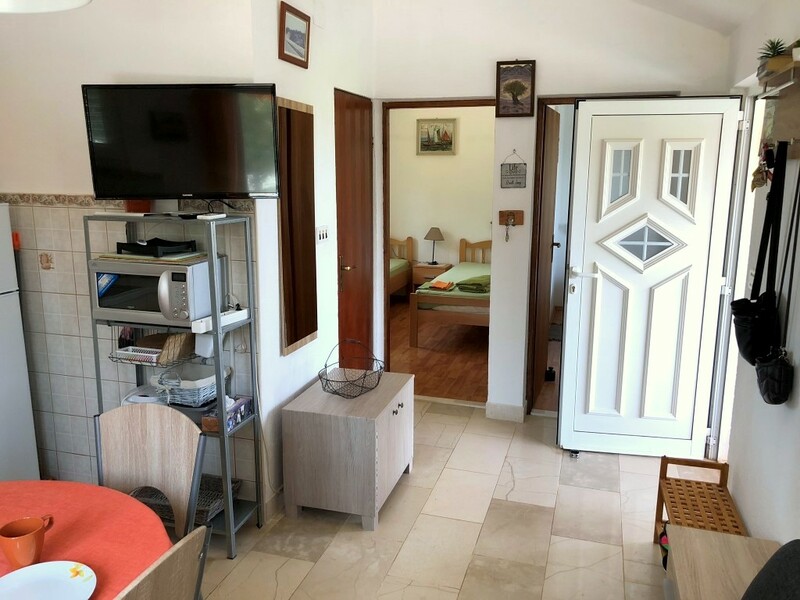 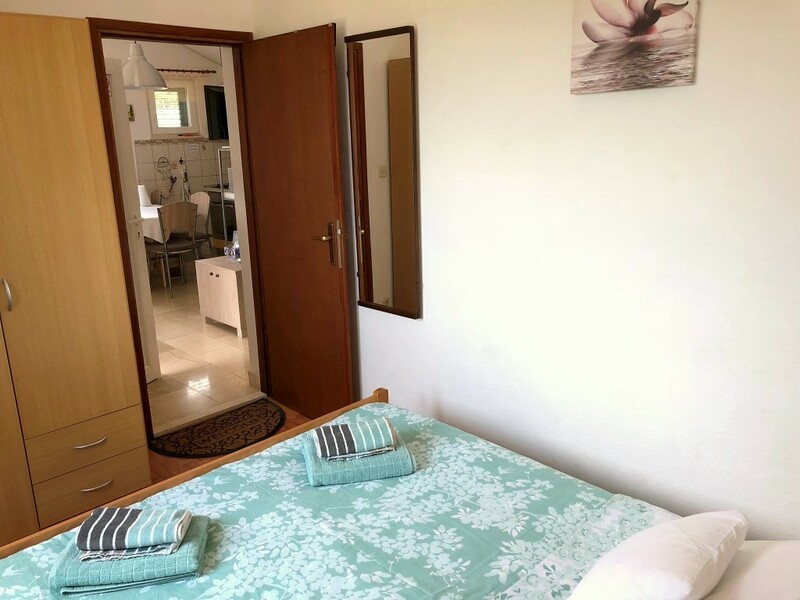 The location of the house provides you with a secluded and relaxed vacation, with no noise or neighbors to disturb your peace, but is still close to everything that you may need. 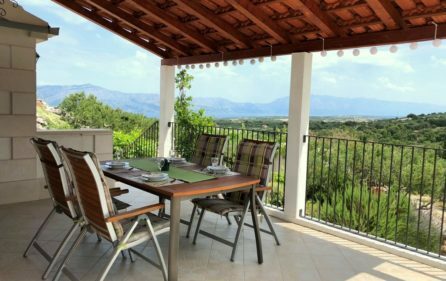 The house is set out on the ground floor, on a plot of approximately 6000 meters square. 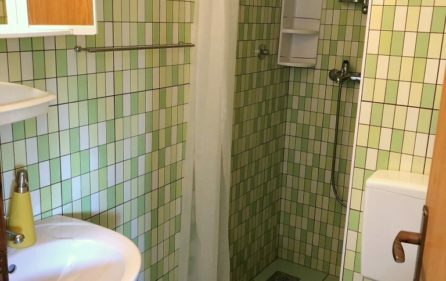 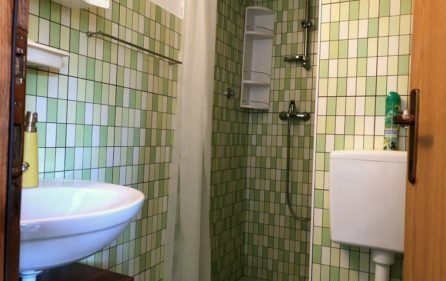 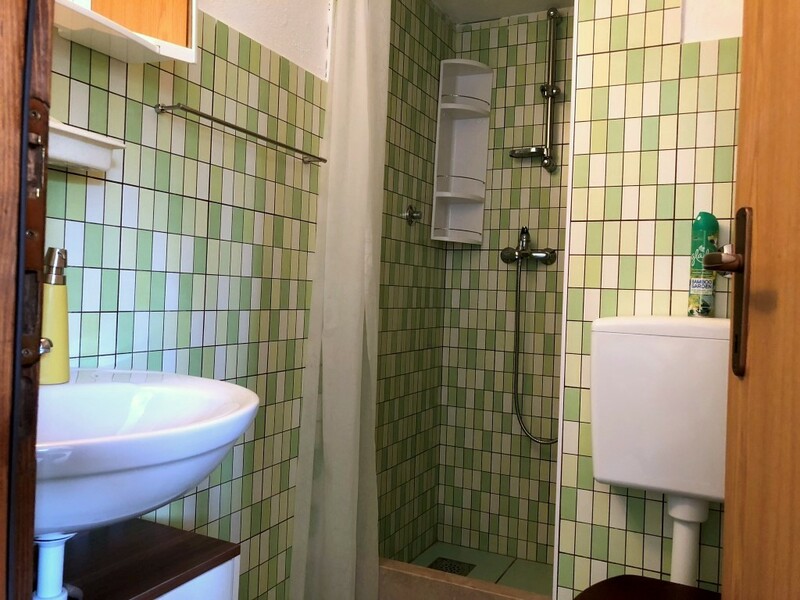 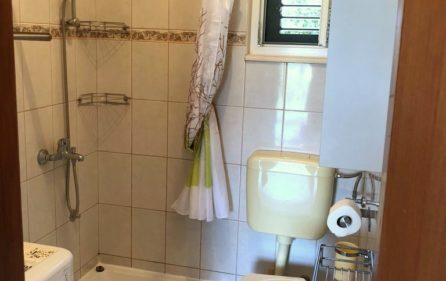 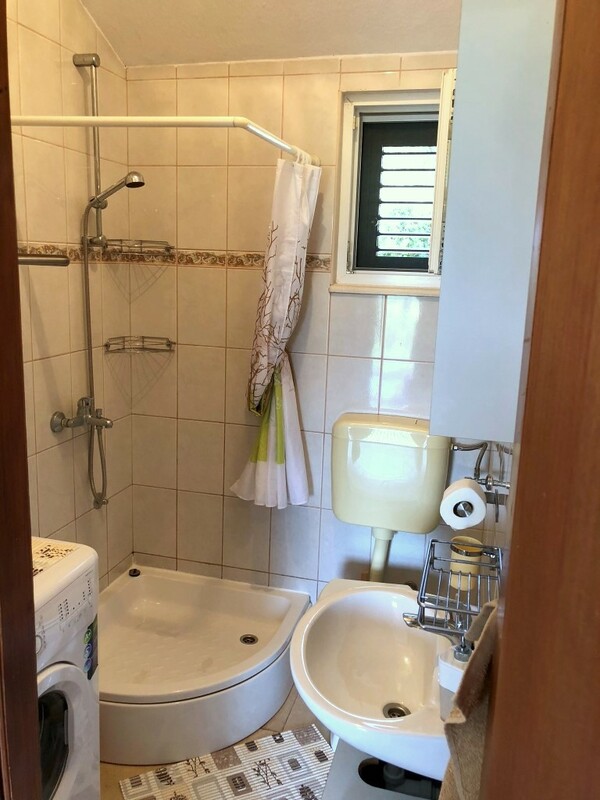 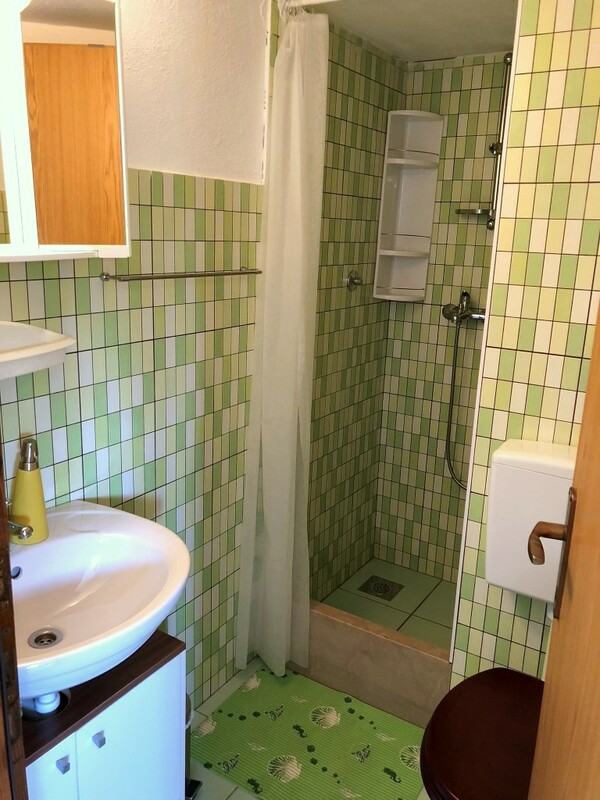 It consists of 3 bedrooms, a kitchen and 2 bathrooms with a shower. 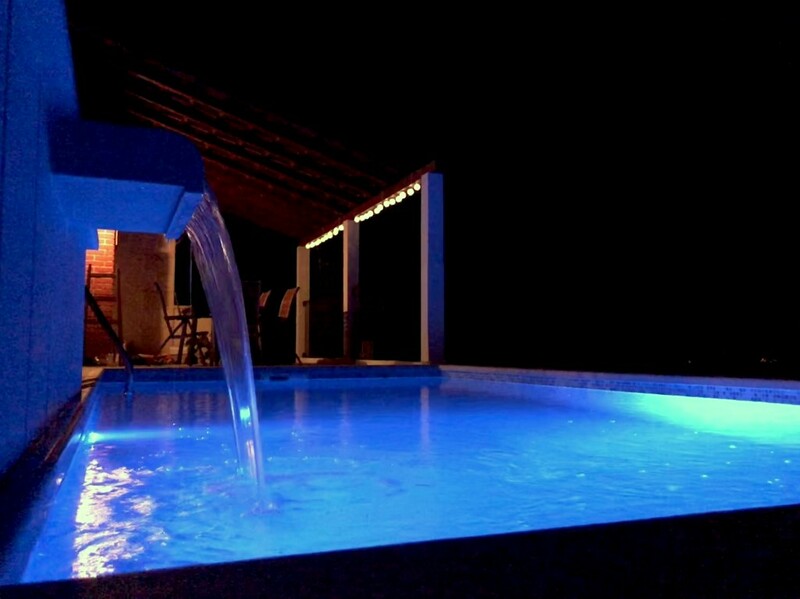 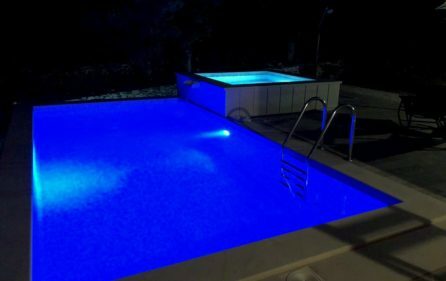 There is a pool in front of the house that is heated. 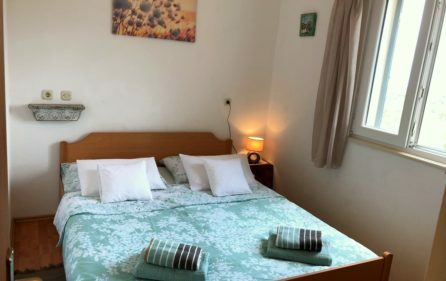 There are five beds in the house, two single beds in one bedroom, one queen bed in the second bedroom, and one queen and one single bed in the third bedroom. 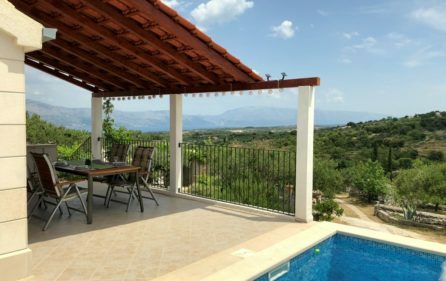 Villa is completely at your disposal, along with the patio, two outdoor pools, and a large terrace. 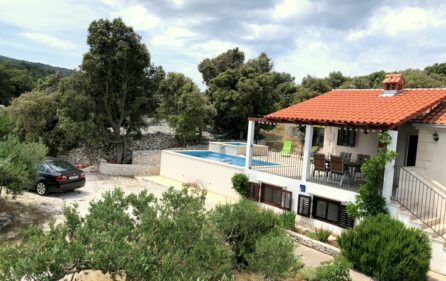 From the big terrace, you can enjoy the breathtaking view as you can see the sea, the Brac Channel and the old place of Skrip. 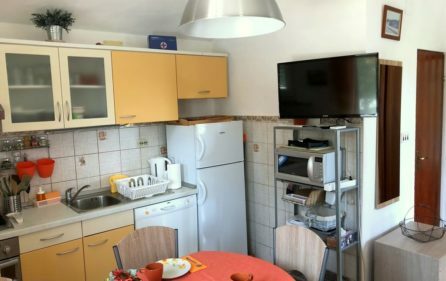 There is also free private parking and free Wi-Fi in the house. 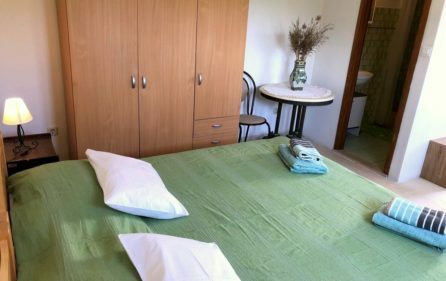 The essentials such as the bed linen and towels can be found in the house. 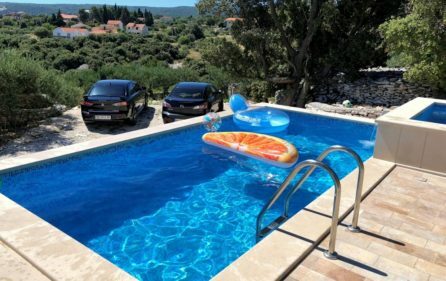 Air conditioning is provided. 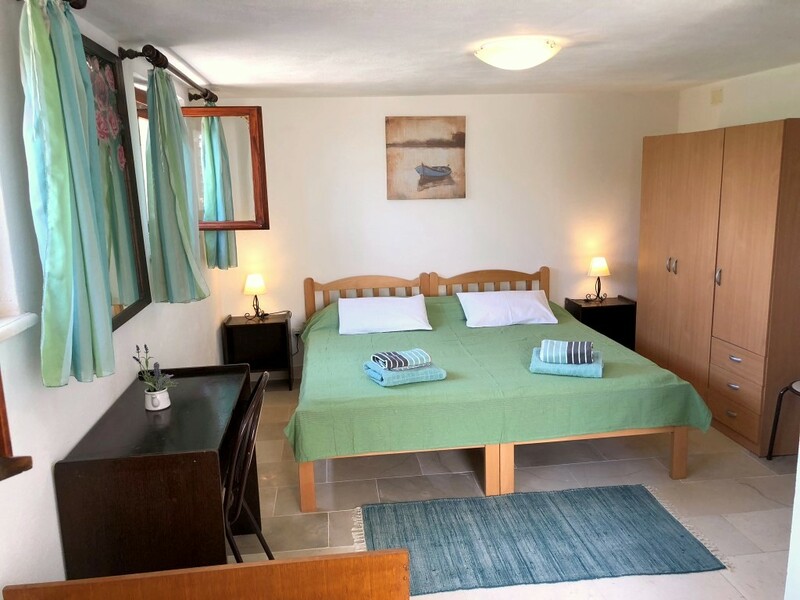 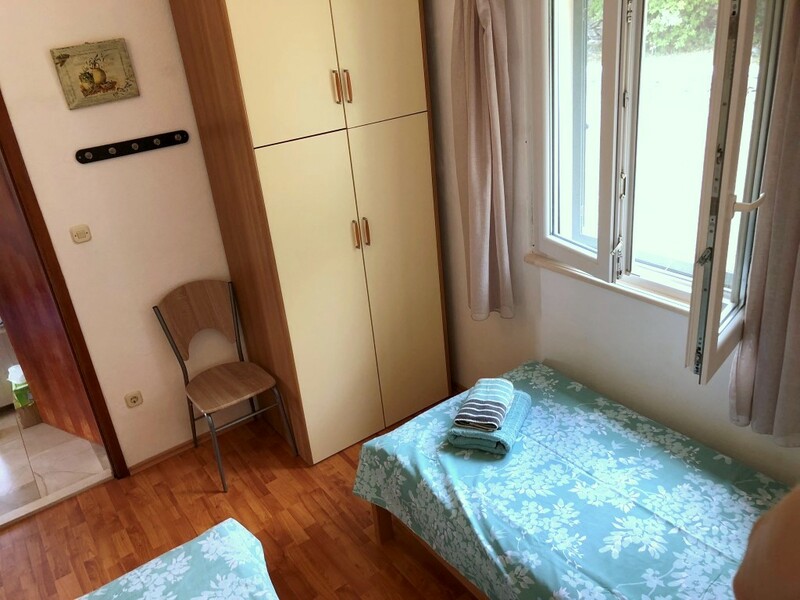 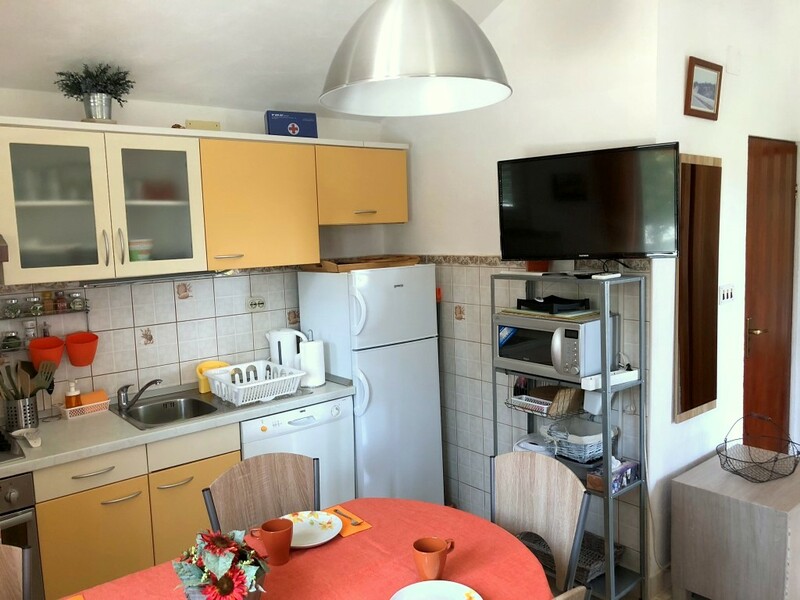 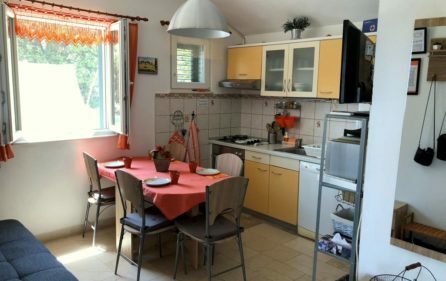 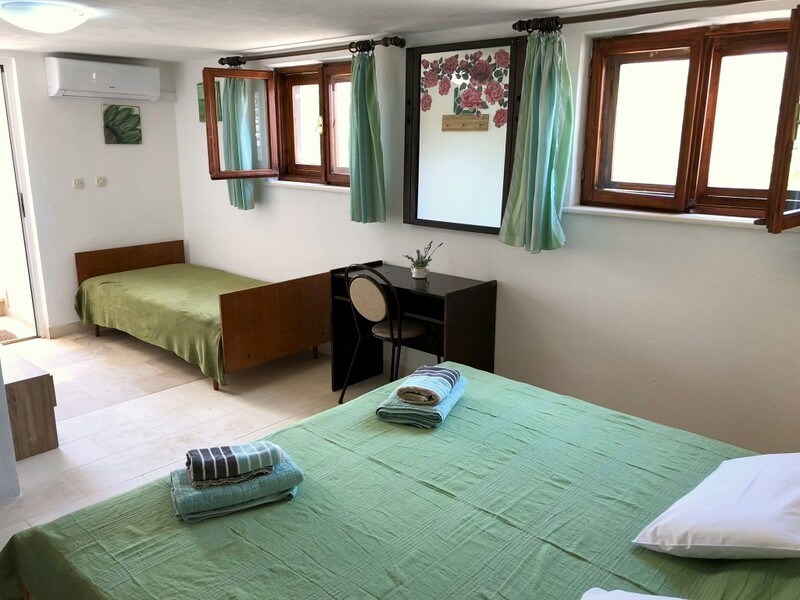 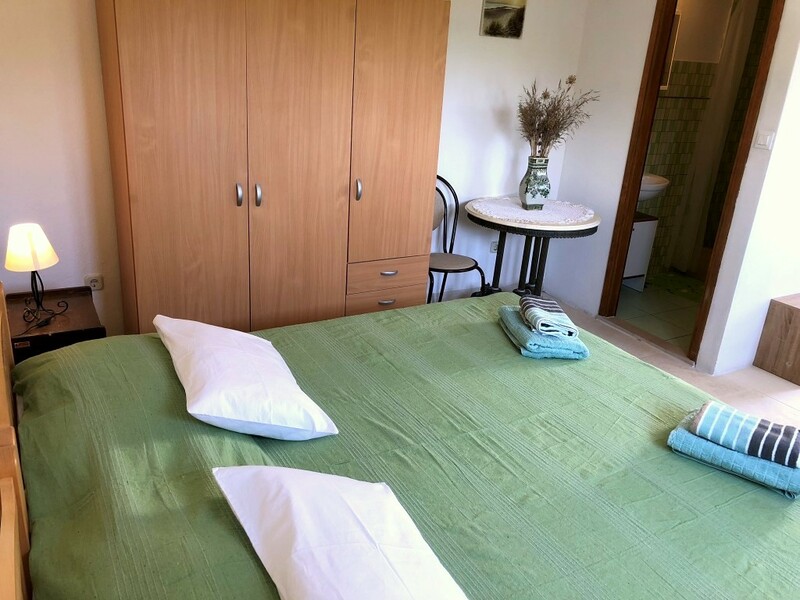 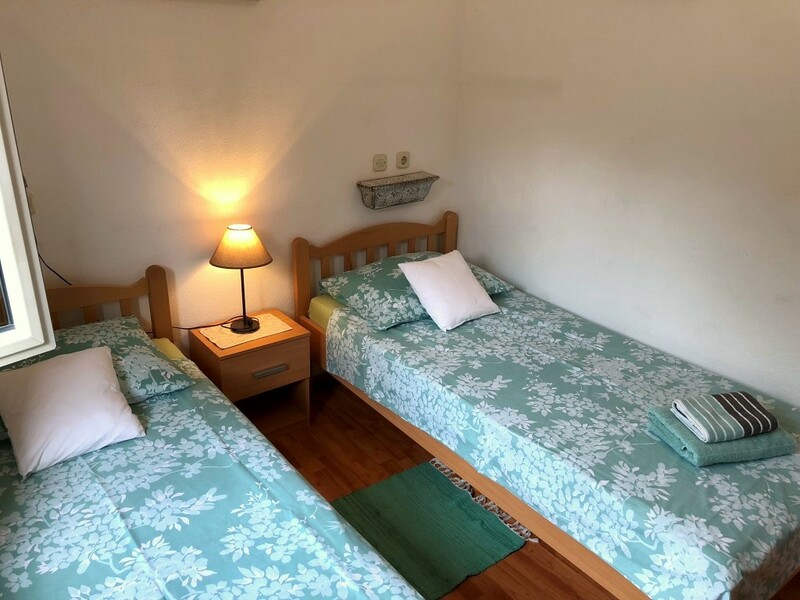 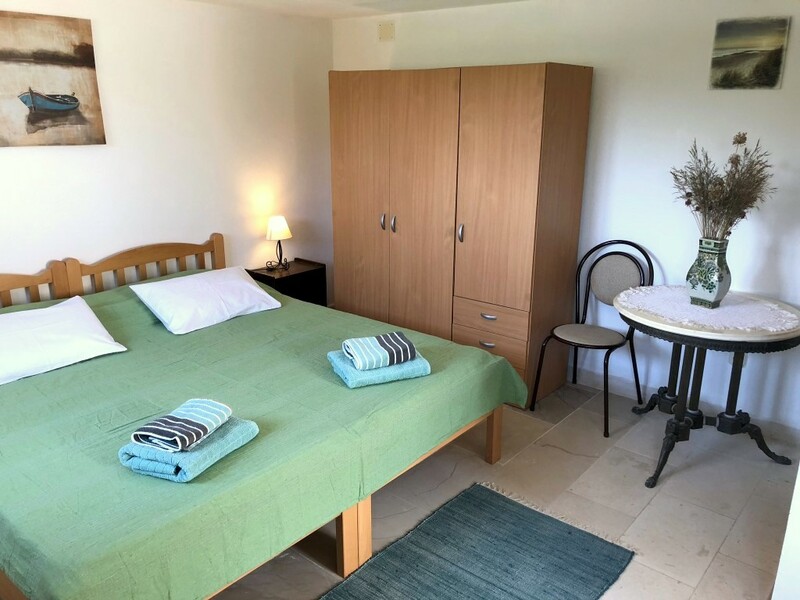 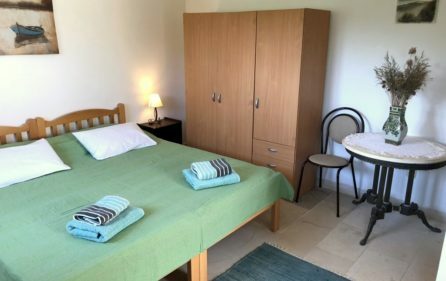 The kitchen is equipped with a dishwasher and an oven, all of the windows are covered with mosquito nets to provide you with undisturbed and peaceful sleep during the summer nights. 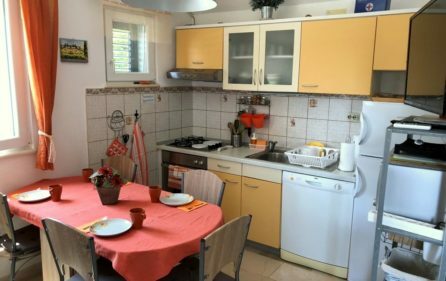 The house has an insulated Styrofoam facade, PVC windows and doors, and aluminum shutters. 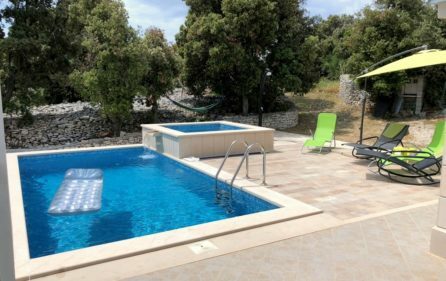 In the period from 17th of June to the 30th of June minimal stay is 5 days, and the changeover day can be any day in the week. 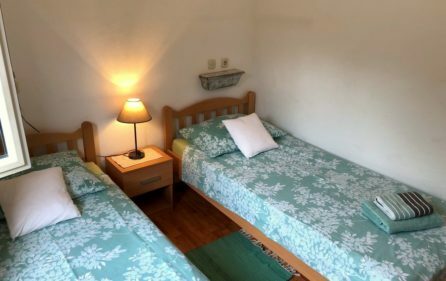 The prices are per unit per night. 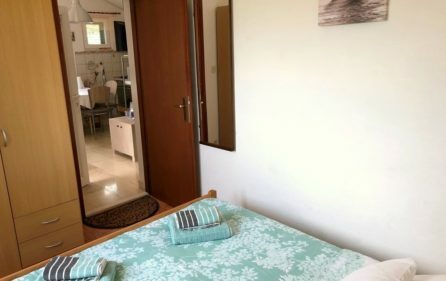 Minimum stay in periods out of the main season is 3 days.